For upper-intermediate to Advanced learners. Ideal for FCE, CAE, CPE, BEC and IELTS TOEFL, SAT, WAEC, NECO GCE preparation. Packed full of study extras, the Cambridge Advanced Learner’s Dictionary can help you on your way to becoming a confident, natural-sounding English speaker. Clear definitions and prominent guidewords come as standard, and hundreds of pictures and illustrations highlight variations in meaning that are essential for you as an advanced learner. NEW! Extra help section; illustrations; photos; maps; and the innovative “Let’s Talk” section which focuses on conversation and how people really speak in day-to-day situations. NEW! “Common mistake” boxes based on real learner errors from Cambridge ESOL exams, help you to avoid typical mistakes. NEW! Thesaurus boxes provide alternatives to over-used words, helping you to widen your vocabulary and make your English sound more natural. NEW! “Word partner” boxes show you how to use words as a native speaker would. The new Collins Dictionary of the English Language is a comprehensive and authoritative dictionary, and an endlessly browsable 'good read' for language lovers. Elegantly packaged, with attractive yet durable binding, this is the perfect gift for the dictionary buff or language lover in your life. This dictionary contains all the words and definitions you need every day, plus over 200 essays and special features on a wide range of language topics. 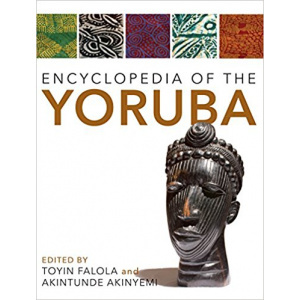 With essays on topics such as the history of English, the influence of other languages on English, English as it is used around the world, the language of historically important writers (including Chaucer and Shakespeare), and grammar controversies, this dictionary is also packed with a wealth of information. This is The World’s Most Trusted Dictionaries. The world-famous Concise Oxford English Dictionary presents the most accurate picture of English today. Rich, authoritative coverage of the English language including scientific and technical terms as well as English from around the world. Newly updated, based on the latest research from the Oxford Corpus. Clear layout, tested for readability, to help you find the information you need quickly and easily. Over 240,000 words,phrase, and meanings. A Dictionary of Philosophy of Religion is an indispensable resource for students and scholars. Covering historical and contemporary figures, arguments, and terms, it offers an overview of the vital themes that make philosophy of religion the growing, vigorous field that it is today. It covers world religions and sources from east and west. Entries have been crafted for clarity, succinctness, and engagement. 1000 Amazing Facts of the World is a book, compiled by Henry Ogunbodede "EmmCee RNB". This handbook of world amazing factswasborne out of Mr. Henry's love for research and the internet. This book is a must have for every seeker of knowledge. English terms from the worlds of business, computing, science and the arts. With fierce competition in most employment sectors it is not enough for today’s graduate just to be well-versed in his or her particular subject. It is vital that a modern student is armed with a strong command and understanding of the English language. The Students’ Companion intended to supply any undergraduate with a comprehensive knowledge of not only English grammar and usage but also English idioms and phrases in everyday use and English terms and words from the worlds of business, computing, science and the arts. 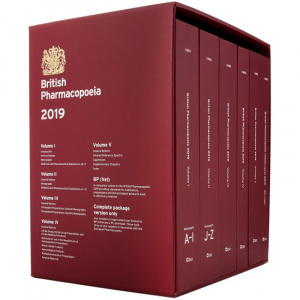 The appendices contain useful sections on world facts, scientific classification, chemical elements and letter writing. This instructive volume is ideal for an all-round general knowledge of the English language.